Automated Malware Analysis - Introducing Joe Sandbox A1, World's first Golden Hardware appliance! 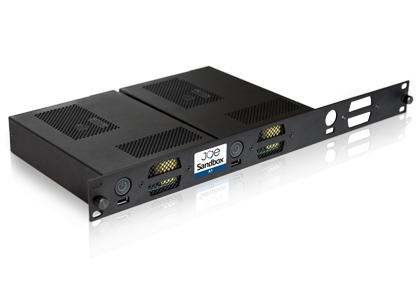 We are very happy to announce today the launch of Joe Sandbox A1, the World's first and most powerful appliance to perform Deep Malware Analysis on Bare Metal hardware. With our brand new appliance, you can say goodbye to malware evading virtual environments. To the best of our knowledge, A1 is the world's smallest most powerful deep malware analysis appliance. We specifically designed A1 for the analysis of APT and targeted attacks. A1 runs full standalone. Thus you do not have to worry about the privacy of any samples you analyze! Joe Sandbox A1 has a small form factor of only 145(W) x 195(D) x 44.5(H)mm. It fits into any server rack. In addition, Joe Sandbox A1 produces little noise and therefore can be used directly in your LAB. Joe Sandbox A1 runs and analyses malware on bare metal hardware and does not use any virtualization solution like KVM, VirtualBox, XEN or VMware. Since malware is run on real hardware malware cannot detect any virtual machine. Joe Sandbox A1 includes Joe Sandbox Hypervisor and benefits from all its features including user-mode, kernel, system call and memory monitoring, stealthiness and high efficiency. Please have a look at this blog post to learn more about Hypervisor based Inspection. Joe Sandbox A1 has many Third Party Integrations. Detection results from Virustotal and MetaDefender are visualized in the analysis report. Joe Sandbox A1 also integrates with Incident Response Solutions such as TheHive, Fame, MISP and CRITs. You can also use Joe Sandbox A1 in the Security Automation & Orchestration Platform Phantom and Demisto. We also offer integration with additional tools such as Viper and Malsub. Joe Sandbox A1 allows for seamless integration into existing threat intelligence systems. It has a simple RestFul WEB API which enables file upload, analysis data download, searches, filters, alerts and more. Example scripts in Python allow a fast integration. For customization and tuning, we enable full root access to A1. This enables to change or install additional software on the bare metal analysis machine. Further customers can write their own behavior signatures. Interested in A1 and want to know more? Contact us today and we will schedule a demo and in-depth technical presentations!